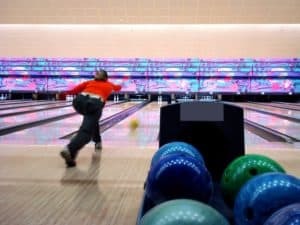 Does your family like bowling? Looking for a place to take the kids in the Reno-Sparks-Tahoe area? There is bowling, bowling, and more bowling at Coconut Bowl at Wild Island, and so much more. If you’re looking for something fun to do with the family your Reno dentists, Dr. William Wager and Dr. Brian Evans suggests checking out the Coconut Bowl. Coconut Bowl located at Wild Island is not just bowling, but there is definitely bowling, bowling, and more bowling. Featuring 32 state-of-the-art lanes that glow at night with laser lights and rocking music, you can bowl up a storm. And when you’re not bowling check out High Ballocity, Laser Mazes, Arcade Games, and Billiards. High Ballocity: A 3-story, soft interactive gym, High Ballocity features five slippy slides, foam ball cannons, 10 firing blasters, and a variety of obstacles and endless routes to explore. Laser Mazes: Space Quadrant 2051 and The Vault are mazes just like in the movies. Navigate them without breaking a beam. The lower your time the better your score. Arcade Games: Games for all ages are sprinkled throughout Coconut Bowl including “Dance, Dance, Revolution” and “Guitar Hero” as well as pinball machines, and driving games. Billiards: Featuring 9 APA-approved pool tables and a full food and beverage service, you can enjoy 8-Ball, 9-Ball, straight pool, or snooker.